from 3 pcs. 7,24 EUR ea. from 10 pcs. 6,55 EUR ea. from 20 pcs. 6,22 EUR ea. 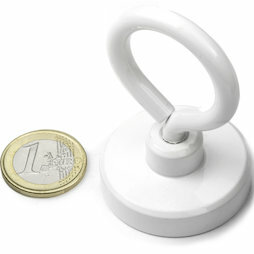 This pot magnet with eyelet is coloured white and and can therefore be discreetly attached to white walls and ceilings.